These are turning out to be tough times for some LMP1 engine manufacturers, and their fortunes are in some way probably linked to the diesel / petrol engine equivalency regulations currently in force. Alan Lis presented an interview with Bruce Wood, Cosworth’s Chief Engineer, back in August of this year – here – and we can now bring that story up to date. 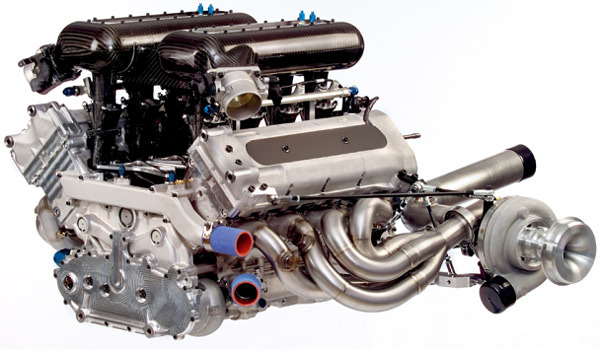 Cosworth has “given up hope” of that customer coming good, and currently the XH engine is sitting on the dyno. with nowhere to go. That’s a frustrating situation for Cosworth, for series organisers and for sportscar enthusiasts, all of whom had been hoping to see, and hear, a new LMP1 engine racing in 2007. Perhaps there still is a customer out there though? Bruce Wood is convinced that Cosworth has a top quality product available, and events in F1 this year provided ample proof of Cosworth’s ability to run with the best in that championship. The XH LMP1 unit is a very different concept. “It’s based on the IRL engine, which has a very good architecture for an endurance engine. In the IRL, in ideal circumstances, an engine has to be able to run flat out for 550 miles, so it’s developed for endurance anyway. “Over a two year period, it had any teething problems ‘flushed out’, so that at our first attempt at a 24 hour run on the dyno. 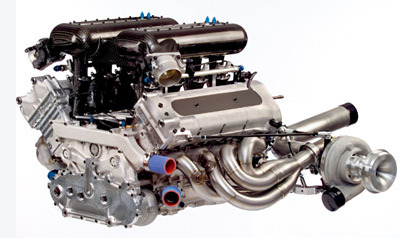 with the LMP1 engine, it ran trouble free. “With a turbocharged sportscar engine, boost control and response are very important, and we’ve built up a lot of experience in those areas with our World Rally engine. 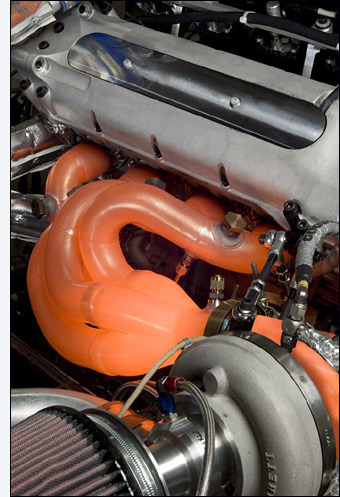 That’s a turbocharged, air restricted engine too, so we were well placed in that area. Is there a potential customer out there for 2007, or will Cosworth have to sit patiently, waiting for either a change in the diesel / petrol equivalence rules (perhaps in 2008) or for the ACO’s ‘entice the manufacturers back’ plan to pay dividends, perhaps in 2010 (with the introduction of the coupes)?